How Many People Died At Pearl Harbor ? Those who have read about American history are acquainted with Japanese attacking the US naval base located at Pearl Harbor on 7th December 1941. The Americans were attacked unaware, without any warning by Japan. This resulted in loss of lives of 2,402 Americans and left around 1282 people injured. The episode of Pearl Harbor left the Americans in a state of shock and eventually prompted America to participate in the Second World War. The surprise Japanese attack on Pearl Harbor has become a very significant event in the history of America that caused further war related occurrences of significance. This unannounced attack was steered by the Japanese naval forces on the American naval base, Pearl Harbor in Hawaii. The US suffered heavy losses as a consequence of this attack. Around 2,402 people lost their lives and 1282 got injured. Many vessels of the American navy were destroyed which includes four battleships, three cruisers, three destroyers, one miner and close to hundred and eighty aircraft. Strategic searches were piloted by the American Navy for the survivors, for the ones killed and for those who may have been involved in the attack. Before this attack, the US was not involved actively in Second World War. Japan and the US had certain preexisting strains that caused several issues like Japan was not allowed to invade the Pacific countries to procure raw materials and natural resources. Furthermore, the US was not sending products like airplane, their spare parts and oil to Japan. The Japanese considered this behavior hostile. Also, Japanese required access into countries in Southeast Asia and Dutch East Indies for procuring the existing resources and with U.S. around would not be able to seize these countries. 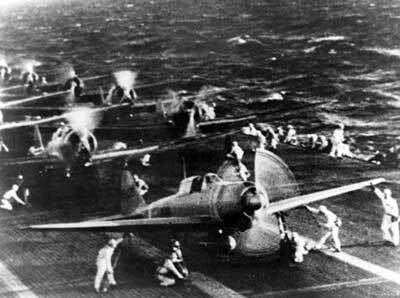 Thus, the Japanese attacked Pearl Harbor bombing from 6 aircraft carriers. Due to the Japanese attack, U.S. decided to participate in the Second World War. Also the attack is a precursor to strategic events like bombing of Nagasaki and Hiroshima by the Americans. This also disabled the army and supplies of the country. Could Pearl Harbor Have Been Prevented ? What Happened At Pearl Harbor ? Why Did The Japanese Attack Pearl Harbor ? On the 7th of December 1941, an overwhelming attack was conducted by the Japanese on the American naval base at Pearl Harbor. As a result, the US suffered massive losses. 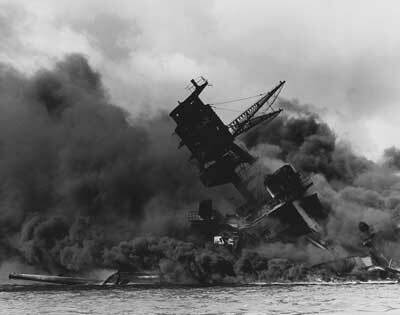 However, this outbreak of violence on Pearl Harbor accelerated the participation of the US in the Second World War. The joint session of the US Congress was address by President Roosevelt, a day after the attack. He said 7th December was a date that would forever live in the minds of Americans and the world for its infamy. More..